It is believed that Lord Krishna, the eighth incarnation of the 10 avatars of Lord Vishnu, was born on the eighth day of the holy month of Shravan. The country is celebrating Krishna Janmashtami today and Bollywood is not untouched by the fervour. A number of film celebrities took to social media to write posts greeting their fans on the auspicious occasion. 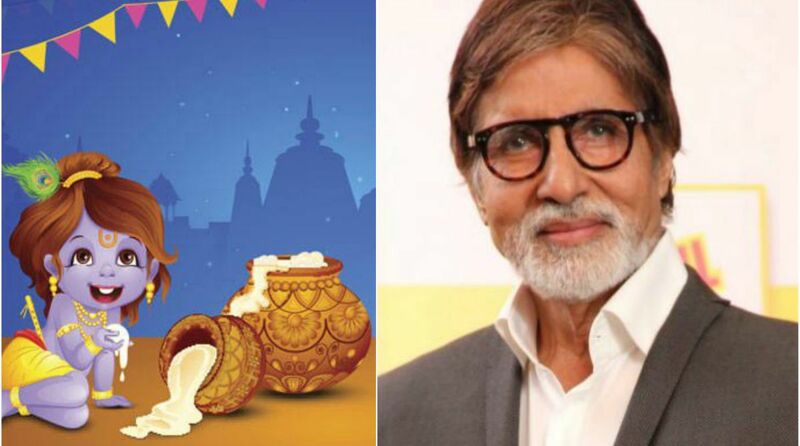 Bollywood celebrities Amitabh Bachchan, Preity Zinta, Ekta Kapoor and Shilpa Shetty Kundra were among those who sent out wishes to their social media followers. Happy Janmashtami ♥️ at the shoot of “ radha teri chunri”.. 7 yrs ago.. #diva was visiting after playing radha in her play school janmashtami function..
Devotees across India observe fast on Janmashtami. It is believed that Lord Krishna, eighth incarnation of the 10 avatars of Lord Vishnu, was born on the eighth day of the holy month of Shravan.